and continues to run till date. Post graduate level Bachelor of Education (B.Ed) course in Special Education - Mental Retardation (MR). 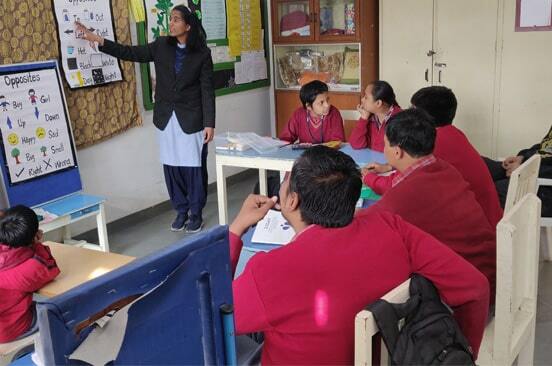 Recognized by the Rehabilitation Council of India, New Delhi and affiliated to the Rajasthan University is a two year course for training graduates to be special educators. Several workshops and seminars for parents and for teachers from main stream schools are organized. A major part of the staff training is in service for professionals working in the field with Disha. To help professionals upgrade themselves RCI approved Continuing Rehabilitation Programms (CRE) are conducted. A monthly continuing education programme (CEP) is organized to further build the capacity of the staff.